Noma may have put Copenhagen on the map, but the city has its budget-friendly bars and restaurants too. Just don't ask for a 'Danish', says Meadhbh McGrath. Located in the harbour on Papirøen (Paper Island), Copenhagen Street Food is the city’s first and only street food market - and it aims to offer fresh, tasty meals from all corners of the world at affordable prices. The colourful halls are filled with charming food trucks selling everything from Thai green curries to pulled duck burgers (priced between 50-75DKK/€7-10). They also use the space to host flea markets, jazz concerts and film screenings throughout the year. In spring and summer months, you can enjoy your meal (and a spectacular view) in the deck chairs out on the pier. 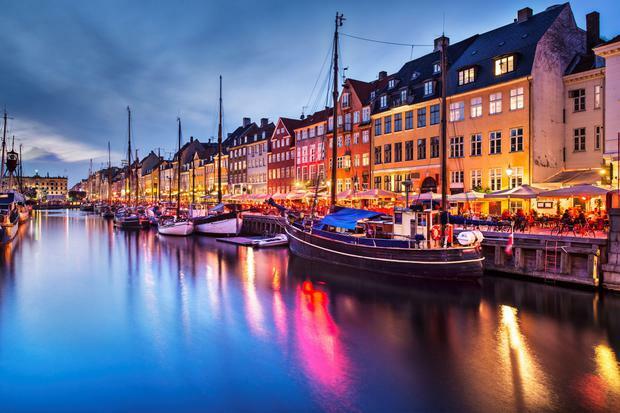 Carlsberg is probably Denmark's most famous thirst-quenching brew... but the city is also home to one of Europe’s finest micro-breweries. Founded by a former secondary school maths and physics teacher, Mikkeller beers are now served at several of the world’s top restaurants. The spacious Mikkeller & Friends bar is the perfect spot to chill out after a hectic day roaming the streets. 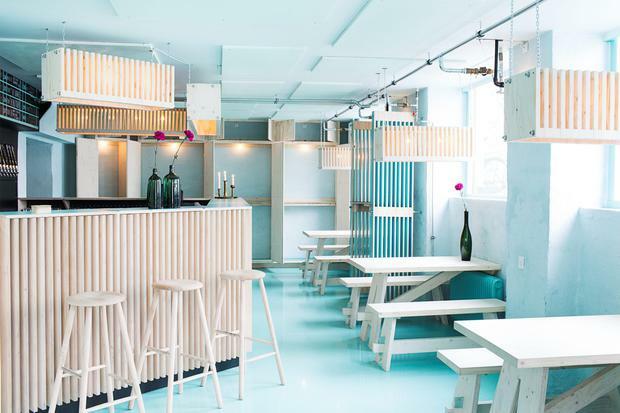 As well as an impressive selection of 40 draft beers (from 35DKK/€4.70 for a pint) and many more niche bottled brews in the shop next door, the underground space is gorgeously designed, with pale turquoise interiors and blonde wood furnishings. If you’re after a hearty, warming breakfast to fuel a busy day exploring the city, look no further than Grød, the world’s first porridge bar. You might be shaking your head at the idea of a menu devoted solely to porridge, but this is so much more than the quotidian gruel you’re used to preparing in a fugue-like state before work. The menu here changes weekly, and they offer both sweet and savoury dishes (from 40DKK/€5.50). You can choose from a range of different toppings like nuts, fresh and dried fruits, peanut butter and skyr (Icelandic-style yogurt). The coffee culture in Copenhagen is flourishing, and the brews from Coffee Collective's micro-roastery and café are second to none. The collective is passionate about the sourcing of their beans, and its 'direct trade' model fosters strong links between farmers, roasters and baristas. Watch out for V60 (pour-over) and Aeropress coffee (from 30DKK/€4), as well as all the usual offerings in three locations across the city, each reflecting the collective’s cool, understated aesthetic. Manfreds is a relaxed restaurant from Noma alum Christian Puglisi, and probably the most affordable way to sample Copenhagen’s new Nordic cuisine. Just across the street from the other kitchen he runs, the Michelin-starred Relæ, this is a smaller, more intimate space where shared tasting dishes based on seasonal produce are the focus (it even does takeaway). Order the set menu (275DKK/€37 per person), which works best for groups of two, and enjoy seven carefully crafted, vegetable-centric dishes with as much of the fantastic sourdough bread as you please. No trip to Denmark is complete without a taste of its namesake pastry – but don’t be caught asking for a ‘Danish’! Dating back to 1652, Sankt Peder’s Bakery is Copenhagen’s oldest - located in the Latin Quarter and is known for its special “onsdagssnegle” (“Wednesday snails” or cinnamon rolls). On Wednesday mornings, crowds flock to the bakery for the celebrated treat, which costs 15DKK/€2, and the delicious, buttery rolls are so popular that they are known to sell thousands of them on the day. 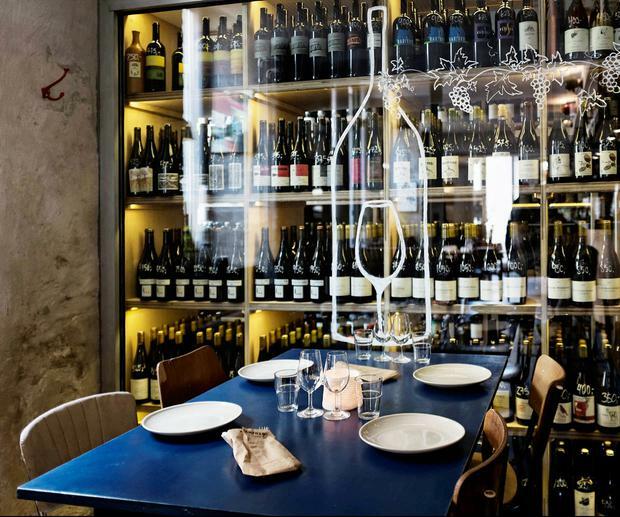 In the city’s trendy Meatpacking district, also known as Vesterbro, you’ll find many great places to grab a casual bite before a night out in one of the area’s bars. The sourdough pizzas at Mother, made using a wood-fired oven, are often hailed the best in the city (from 80DKK/€11 for a pizza). It’s also a cool evening hang-out spot, and the décor is minimal, with white tiles, red lamps and spare wooden benches. The weekend brunch buffet is a very popular hangover cure for locals, where you can load up your plate with as much meat, eggs, fish, salads and pancakes as you can eat for 140DKK/€19. Denmark is famous for its “smørrebrød” (open-faced sandwiches on dark, dense rye bread) and Aamanns Deli offers a contemporary take on the traditional dish. The elegant eatery offers just a handful of options each day, including a variety of cold meats, smoked fish and cheeses. You can pick two or three (they cost 65DKK/€9 each), and get them to go in a box if you’re in a hurry. The innovative flavour combinations include pear-braised pork jaw with quince puree and walnuts, or blue cheese with pickled prune and hazelnut. Tucked down an alley in a former pharmacy dating from the 18th century, this exquisitely designed bar offers a unique range of expertly mixed cocktails. We loved the blackcurrant Solbærrom (110DKK/€15) and the Pære på dåse (100DKK/€13.50) with celery bitters. On warm nights, you can enjoy your Nordic cocktails in the courtyard, or head into the main room where monochrome graphic tiles line the bar and a crackling fire and sheepskin-draped booths create a cosy, inviting atmosphere. One of the most beautiful – and possibly the most Instagrammed – cafés in Copenhagen rests in the front of the Atelier September rooms, an interiors boutique selling a mix of antiques and modern design. This simple, contemporary café serves breakfast and lunch, and although it is quite pricey (75 DKK/€10 for a sandwich), their beloved “avocadomad” – an open sandwich of Danish rye bread with avocado, topped with chili, chive and sea salt – is unbeatable. Atelier September's homemade granola with grapefruit and yogurt is another sure-to-please treat. Grab a spot at the marble counter in the window for some premium people-watching to accompany your meal. Ryanair (ryanair.com), SAS (flysas.com), Norwegian (norwegian.com) and Aer Lingus (aerlingus.com) all fly direct from Dublin to Copenhagen. 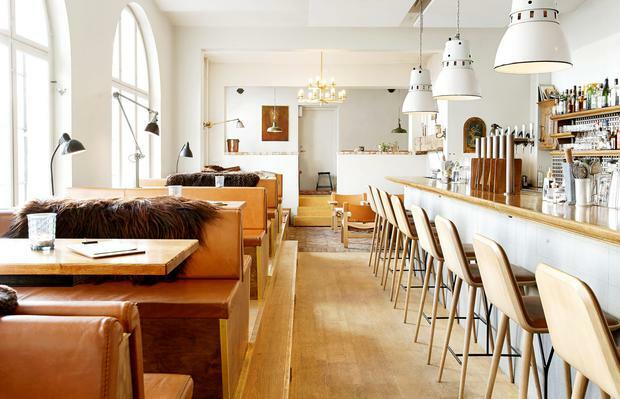 NB: For the best hotel deals in Copenhagen, see Independent Hotels.